Everyone knows that when you start to really look after your skin, your beauty routine becomes so much more of a joy than a chore. I feel my best when I am able to let my skin breathe without makeup and have a natural glow shine through. I like to give my skin a break every now and again from highly concentrated beauty products consisting of all kinds of unbeknown chemicals, which is why I’ve started incorporating more and more natural products into my routine. I’ve been researching a lot into natural beauty products, and even dedicated a whole video to it on my YouTube channel, check it out here. Being so passionate about health, fitness and overall wellbeing, it only makes sense to apply the same passion towards beauty too. It becomes an organic process, when you put so much thought into what you eat and your exercise routine, to also look for those added health benefits in your toiletry bag. In this post I’m revealing what I use when I want a natural, minimal makeup look. So to start with in the morning, after I have washed my face and pat dried with a fresh face cloth, I use my Caudalie Vinosource Moisturising Sorbet*. This is a beautiful product, consisting of 98% natural ingredients (which I love!). 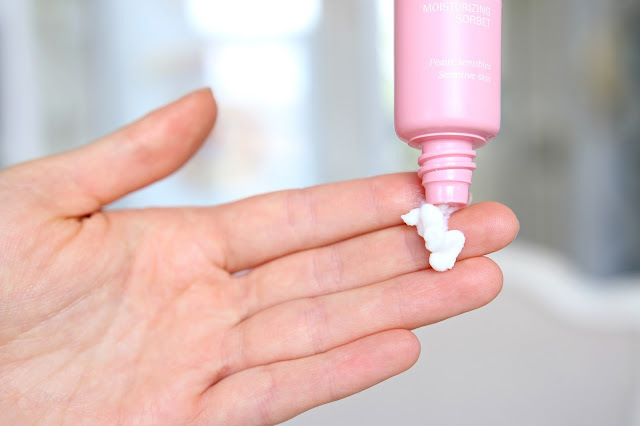 I like to use it in the morning to wake up my skin and give it a fresh, awakening feeling. It contains grape water and a hint of cucumber water and mint which is so soothing and hydrating, and is perfect for sensitive skin. It has a gel-cream consistency meaning it doesn’t leave your skin feeling greasy and also provides a wonderful base for makeup. I’ve been finding that this has been a perfect addition to my Spring / Summer skincare routine because of how light and fresh it feels. 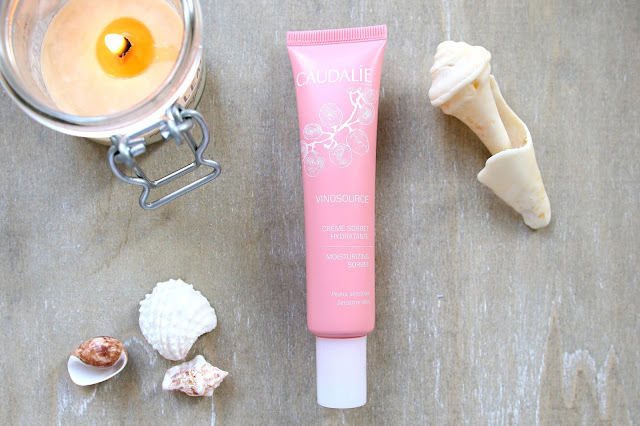 Once the Caudalie Vinosource Moisturising Sorbet has settled nicely into my skin I clip my hair back from my face to avoid those annoying strands getting in the way. 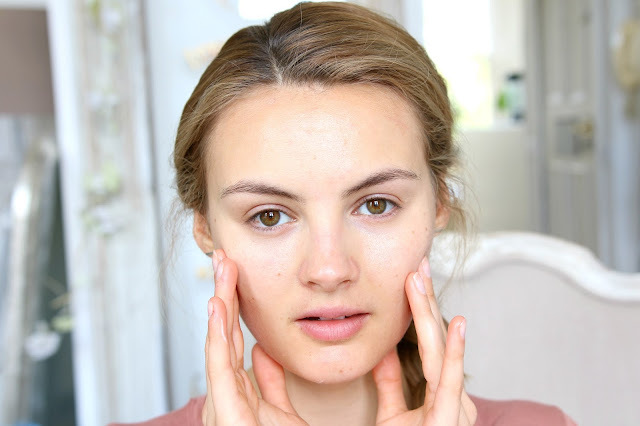 I first apply concealer using my finger to lightly dab under my eyes and around any areas that need extra attention for a natural and minimal coverage. I follow that up with a stroke of bronzer over my cheek bones. I’m really enjoying a lighter base recently, especially now the weather is warming up, and it means I can have a bit more fun with makeup when I go to an event or dinner with friends in the evening. After I have applied my base I like to keep it really simple on my eyes and lips. I had a full set of lash extensions fitted at the end of February and so got into a lovely routine of only applying one coat of mascara. Then I apply a tinted lip balm to keep the look really fresh and simple. And that’s it! It really is that simple. This look is great for when I’m out and about but if you are having a day to yourself, the life admin days, it’s lovely to be able to rely on the Caudalie Vinosource Moisturising Sorbet alone. My skin can breathe and I get that glowy natural effect that means I feel confident to go make up free. If you would like to try out the new Vinosource range, you can buy any of the products on their website, including the Moisturising Sorbet*. I’m a low maintenance girl now that I’m listening to my body and what it needs to feel healthy and happy.